Tales From Beyond the Pale LIVE @ The Overlook Film Festival! Horror will take the spotlight at a new genre film festival launching next year. 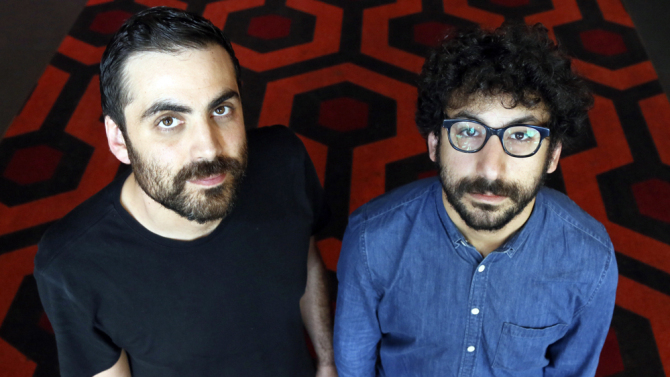 The Overlook Film Festival will open on April 27 at Oregon’s Timberline Lodge, which was used for the exterior setting of the Overlook Hotel in Stanley Kubrick’s “The Shining,” Variety has learned exclusively. Organizers Michael Lerman and Landon Zakheim announced the event on Halloween. They are planning to present experiential events, work in new and classic horror cinema, and interactive activities at the Timberline, located at the base of Mount Hood. The four-day festival will feature a weekend-long immersive game from Bottleneck Immersive and an original live version of the radio play “Tales From Beyond the Pale” by Glass Eye Pix. “The Shining” takes place in the fictional Overlook Hotel, a haunted resort in the Colorado Rockies. Kubrick’s movie, starring Jack Nicholson and released in 1980, was based Stephen King’s 1977 novel. The Overlook Film Festival advisory board includes actor Elijah Wood, director Joe Dante, Sundance Film Festival programming director Trevor Groth, Alamo Drafthouse CEO Tim League, and “Insidious: Chapter 3” director Leigh Whannell. Other members include Kristen Bell (Fantastic Fest), Nate Bolotin ( XYZ Films), Larry Fessenden, Colin Geddes (Toronto Intl. Film Festival), Mick Garris, Stuart Gordon, Daniel Noah (SpectreVision), Lindsay Peters (Fantasia Film Festival), Tom Quinn, Alix Taylor, Ryan Turek (Blumhouse), Josh C. Waller (SpectreVision), and Diana Williams (LucasFilm Story Group). “We’re so grateful to the Timberline Lodge for providing such a gorgeous, iconic venue in the beautiful location of Mt. Hood, Oregon, where our unique, experiential celebration of all things genre can thrive,” Zakheim said.